Adapt or fail: this may be the first rule of successful polar exploration, as countless stories from the age of the great adventurers (and from our own research clients) will attest. Over the weekend, while many of us celebrated Mother’s Day, there was a marriage of sorts on the Greenland ice sheet. 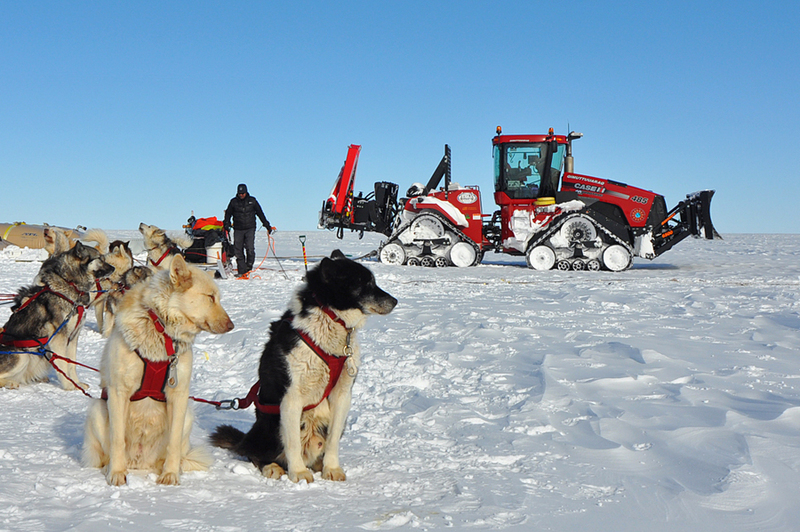 The two traverse teams we’ve been following—GoNorth!’s Polar Husky-powered education effort, and GrIT’s tractor-towed operational effort—combined forces to get everyone back on schedule after last week’s stormy weather delayed progress. 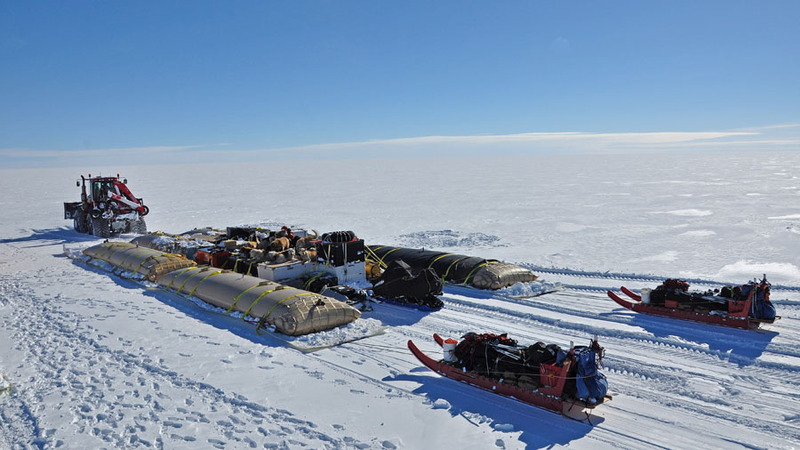 NEEM is the North Eemian drilling camp, an international research collaboration whose main goal is to harvest an ice core (for climate studies) that reaches all the way through the ice sheet. While the University of Copenhagen has overall management of NEEM and operates the camp, the National Science Foundation supports U.S. researchers (U Colorado’s Jim White leads this effort) and provides the heavy air lift as well. Air National Guard LC-130 planes fly between Kangerlussuaq and NEEM every ten days to two weeks—weather permitting, of course. While GrIT machines can continue plowing ahead in most storm conditions, the GoNorth! dogs, though incredibly strong and courageous, must at some point hunker down and wait for the worst weather to clear--they are not made of metal. The risk that the GoNorth! team might be delayed again by a good blow was considered too great, and so all have joined the GrIT traverse. That’s an additional 23 dogs, four people, sleds and gear.